Topics: Extended construction on Airport Road and surrounding areas, join Jacob Pickering and FDOT representative Amy Hadden to discuss detours and alternate routes. Topics: Tim Tompkins and Jacob Pickering go in-depth on the lengthy construction and closures impacting Heckscher Drive, and how you can avoid the problems. Topics: Jacob Pickering and Hampton Ray go in depth on the recently completed Matthews Bridge construction project and what drivers can expect in the future over our Jacksonville Bridges. Topics: Odette Struys from FDOT joins Tim Tompkins to discuss the I-10/95 Construction project and how long the I-95 SB exit ramp to Stockton will remain closed. Topics: Tim Tompkins, Latisha Bereola and Derrick Odom discuss the recently completed section of the I-95 Northbound Overland Bridge Project. The hangups with the new exit and how commuters can avoid delays. 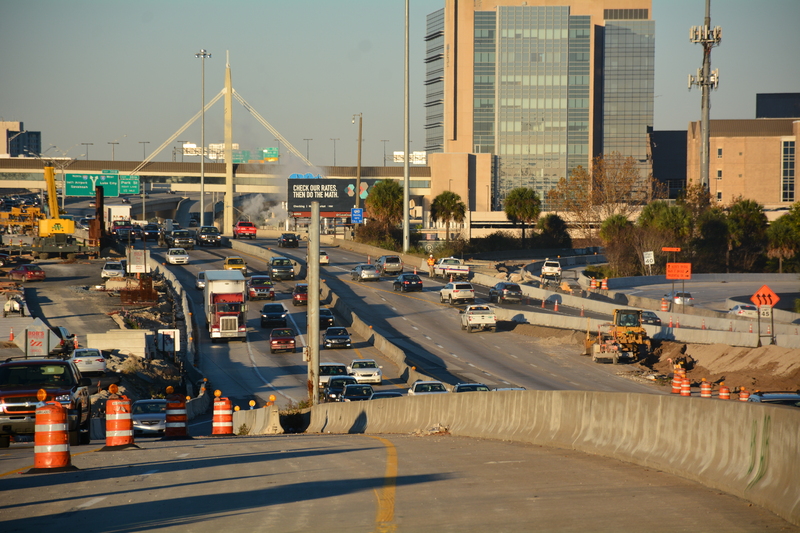 Topics: Ron Tittle, FDOT Spokesperson, joins Tim Tompkins to discuss the I-95 Overland Bridge Project and when Northbound and Southbound sides will open. Topics: Ron Tittle, FDOT Spokesperson, joins Tim Tompkins to discuss the Overland Bridge Project and when we can expect completion of both the Northbound and Southbound lanes. Topics: Brian Middleton and Tim Tompkins go in depth on how severe weather impacts your drive and changing traffic conditions as we head into the summer season. Topics: Arielle Wysocki speaks with Mary Justino for an in-depth discussion on the First Coast Expressway. Topics: Tim Tompkins speaks with Hampton Ray regarding the Dames Point Bridge project and if we'll see continued lane restrictions through the area.